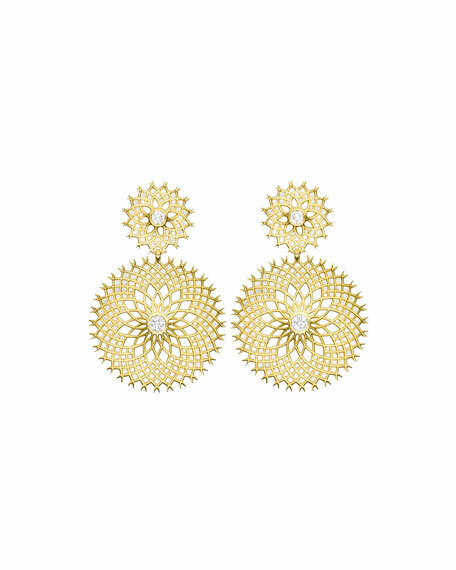 Spiral mesh drop earrings by Paul Morelli. 18-karat yellow gold with inset diamonds. 6.21 total diamond carat weight.